Liquor store owners in Eagle and Summit counties are watching intently as Colorado Gov. John Hickenlooper mulls signing into law or vetoing Senate Bill 197, a bid to head off a ballot initiative that could allow grocery stores to sell full-strength beer and wine next year. Sponsored by state Sen. Pat Steadman, D-Denver, and overwhelmingly passed with bipartisan support late in the legislative session, SB197 (pdf) provides a phased pathway to large, chain grocery stores each holding up to 20 liquor licenses over the next 20 years and an unlimited number after that. It also requires grocery stores to buy licenses from nearby liquor stores. Current law dating back nearly 90 years allows only one company or individual to own a retail liquor license in Colorado, keeping the state’s retail liquor industry small and mostly locally owned. But grocery giants Safeway and Kroger (King Soopers and City Market) are funding a ballot initiative that would allow grocery stores an unlimited number of licenses next year. Fearful the ballot initiative may pass in November, putting many of the state’s 1,650 mom-and-pop liquor stores out of business overnight, the Colorado Licensed Beverage Association spearheaded a compromise bill that allows grocery chains five licenses in 2017, up to 20 by 2037 and an unlimited number after that. Steadman hopes two decades will be plenty of time for mom-and-pop shops to either adjust their business models or sell their licenses to the big grocery chains, thus recouping their investments. “I like to describe what happened with this bill this year as giving retail liquor store owners an opportunity to sit down at the table and pick their poison, and by that I mean that their industry is going to change,” Steadman said last week. But late last week Hickenlooper told reporters he’s hearing from many small liquor store owners who don’t want to wave the white flag and would prefer to fight the big grocery chains in a costly ballot-box battle that will likely keep cropping up even if it’s defeated this year. However, local liquor store owners dispute the notion that “many” liquor store owners are opposed to SB197, and they feel it will give them time to change by heading off the ballot battle. Steadman said the Legislature recognized the bill was necessary, passing it 34-4 in the Senate and 57-7-1 in the House. Efforts to change Colorado’s liquor laws have been under way since the 1980s, he said, and will continue until things change. The bill requires a grocery store looking to acquire a liquor license to buy it from any liquor store within 1,500 feet of their store in the city or 3,000 feet in towns, but those liquor stores also have the right to refuse to sell to the grocery chain. Liquor stores will also be able to start selling food items that are prohibited under current law, allowing for more diverse business models. Convenience and lower prices are two of the top reasons for deciding the issue at the ballot, according to Your Choice Colorado, the pro-grocery-store sales group funded by Safeway and Kroger. However, the Mullens cite statistics showing 86 cents of every dollar spent in one of the chain grocery stories goes out of state compared to 44 cents of every dollar spent in a liquor store. Dennis Leifheit, owner of Antlers Liquor and Wine Seller in Frisco, says he’s a big supporter of SB197. “It gives the liquor store owners and opportunity to determine the fate of their businesses without the out-of-state, big-box stores – Safeway and King Soopers – just coming in to take their business. That’s the first reason,” Leifheit said. 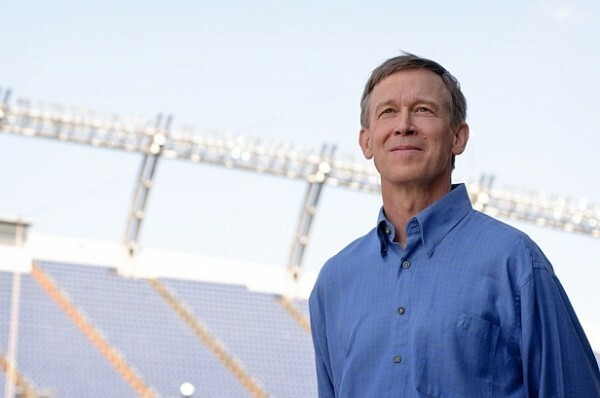 Before first being elected mayor of Denver and later governor of Colorado, Hickenlooper was the co-founder of the state’s first brewpub, Wynkoop Brewing Company in downtown Denver. According to Steadman, the governor is meeting with proponents of his bill next week and has until June 10 to decide whether to sign the bill into law. Leifheit says liquor stores also provide a security barrier against underage sales.